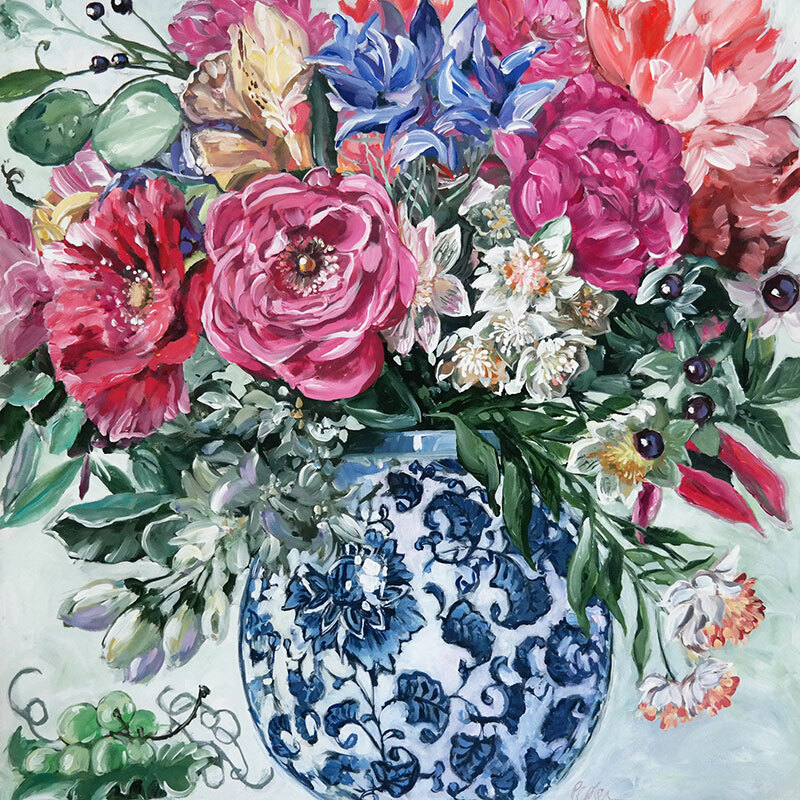 Susan Pepler’s LARGE FLORAL PAINTINGS are full of LIFE & JOY! Her style is “painterly realism”, and her influences include John Singer Sargent, Andy Warhol and Edouard Manet. Bold confident brushstrokes make her flowers almost dance on the canvas. About half of her studio time is spent creating special orders for interior designers and clients with specific needs, and the other half, on creating new series of paintings for exhibitions. Susan has more than 25 years of experience as a professional artist and earned her Bachelor of Fine Arts Degree at Concordia University. She taught art at Dawson College before moving to the Townships, and now teaches painting classes in Knowlton and offers workshops in her Knowlton studio.